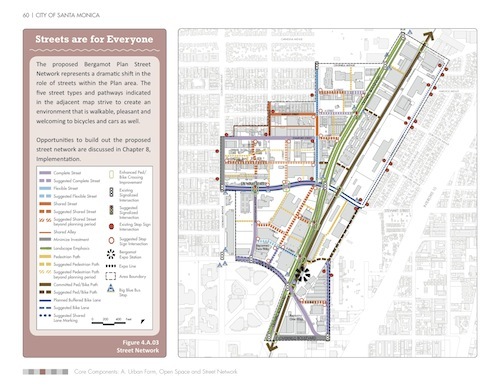 After 3 years in the works and dozens of public workshops and meetings before commissions and the council, the Bergamot Area Plan has finally passed Tuesday night (really Wednesday morning) with a 6-1 vote. The vote both approves the plan (which will take effect in October), and clarifying that the plan takes the place of existing zoning for the area. 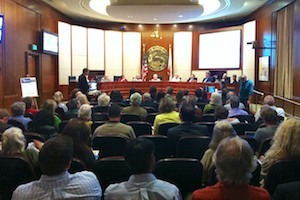 The dissenting vote came from council member Kevin McKeown, who wanted stronger provisions for allocating affordable housing than was already in the plan. The other council members, particularity Gleam Davis in her comments, felt the specific changes McKeown was calling for may compromise the viability of getting more housing built, and should be vetted by economic analysis first, considering the idea as an amendment at a later date. McKeown also cited possible changes at the state government level relating to housing policy that could introduce or reintroduce new tools for municipalities on housing in the near future, but I also caught city manager Rod Gould shaking his head, with a look that to me suggested he is not as confident the state changes that were cited are enough of a done deal to count on. There are almost endless layers of subtleties and details to these kinds of public deliberations that I could never fully convey in writing, and that the video feed isn’t going to fully capture either. It was an incredibly long night going into 2 in the morning, with a lengthy line up of public speakers, including myself, SM Next Advisory Board Members Juan Matute and Carter Rubin, and Cynthia Rose representing local bike advocacy group Santa Monica Spoke (which has pushed for bicycling facilities for the area since its inception), in support of the plan’s direction. There were also a number of residents who felt the plan should be scaled back further than it already has been from earlier iterations, often worried about traffic or demanding more certainty on creating new park space than the provisions that were already in the plan. Asuka Hisa (mastermind behind the Tour da Arts) spoke for the Santa Monica Museum of Art, located in the Bergamot Complex , in support of the plan and the process that arrived at the final proposals, and in support of the conservation zone to preserve the arts and cultural facilities at the Bergamot Art Complex. There were former planning commissioners, a former mayor, property and gallery owners, and others who all came out to speak on various points, support for the plan, or changes they wanted to see. It was a packed room representing a wide variety of interests in shaping the future of the area around the coming Expo Line station.